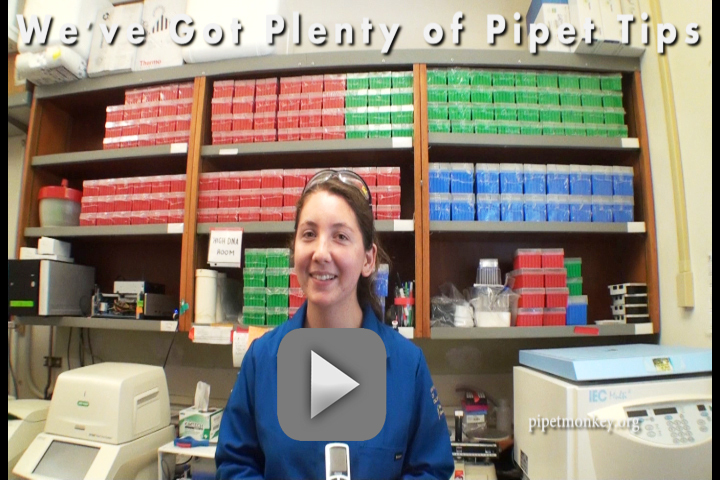 Ingrid the intern unboxes the EA-8 1200 XLS adjustable spacer E4 XLS multichannel pipette. Multichannels are a huge time saver for any plate based assay; adjustable width multichannel pipettes are a levolution up. Yes, it’s a word DICE made up for BF4, but it describes the game changeyness of this pipette so we’re all just going to have to live with it. 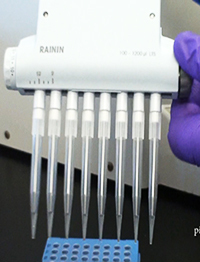 Turning the knob on the side of the pipet head rotates an internal cylindrical gear that changes the spacing between the tips. 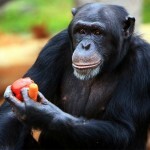 We know because we had Ingrid take it apart. Being able to change the distance between the tips may not seem like a thing, until you have to individually pipet from a couple of hundred 1.5ml tubes into PCR plates or go from 24 well TC plates to 96 well assays. The adjustable width multichannel knocks them out 8 at a time. Also, have you ever noticed that the spacing of the teeth in your gel combs is just a couple mm off from a standard PCR plate? Not so much of a problem anymore. There are a lot more adjustments on the electronic version than any one person will probably ever need: liquid volume, separate aspirate and dispense speeds, mixing cycles, multi-dispense, reverse pipetting (no one in our lab knew what that one is but it’s gotta matter to somebody), dilution, titrations, and about a hundred other things that are configurable in the settings. The battery life is OK; you should be able to go about a 10hr working day on one charge. 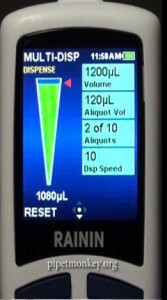 Also these newer gen XLS pipettes have better ergonomics, which really matters if you are using it every day. The tip eject even seems to have a lighter touch to it, compared to older multichannels. 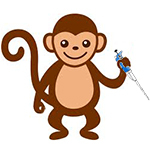 Experienced pipetmonkeys will probably lean towards the manual models but for things like QC, GMP/GLP, or production the electronic versions could be better. Link to the operating instructions that Ingrid didn’t read and tossed on the floor (no surprise) and to the manufacturer’s website.